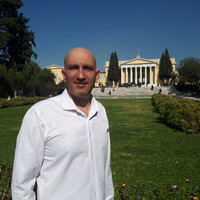 Antonis is our Destination Expert in Greece. "Antonis was very prompt to answer any questions that we had before the trip and during our stay in G...". "Antonis was prompt in his response and was quick to help when we encountered a small glitch during t...". "The trip was utterly wonderful. We asked for knowledgeable guides and all had advanced degrees. An...". Enjoy the best combination of a bus tour to the most important ancient sights and monuments of the greek mainland and a 3-night cruise across the Aegean Sea, all the way to the coasts of Turkey. Among other locations you will have the chance to visit Olympia, the birthplace of the Olympic Games, Meteora, a UNESCO World Heritage Site, Patmos, the island where Saint John wrote the Book of Revelation and the ancient city of Ephesus on the Turkish coast, built 3.000 years ago. 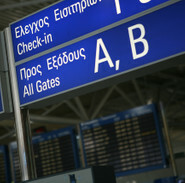 Upon your arrival in Athens, the driver will be waiting for you right outside the Arrivals Hall, holding a sign with your name to transfer you to your hotel. Our representative will wait for you in the hotel to welcome you and brief you about your trip. Check into your hotel and enjoy some free time for relaxation or for a first walk in the capital of Greece. Today, you will be totally impressed by the stark contrast between the "old" and the "new" Athens: on the one hand, you will marvel at the magnificent ruins of the past, and, on the other, you will explore the modern architecture of the city. You will have the chance to visit the Acropolis, along with the Parthenon,the Propylea, the temple of Athina Nike and the Erechtheion. Other equally impressive and historic sites are the Roman Temple of Olympic Zeus, the tomb of the Unknown Soldier, the Parliament House in Syntagma (Constitution) Square, the Panathinaiko Stadium (Kallimarmaro), amongst other landmarks. Last but not least, do not leave Athens without visiting one of the most exceptional, modern, contemporary museums worldwide: the New Acropolis Museum, which fully displays the magnitude and glory of Athens in architecture and cultural style. Starting from Athens we will drive westwards along the scenic coast, until we reach the CORINTH CANAL with its breathtaking views. We will ontinue along the coastal road of the Saronic Gulf to EPIDAURUS. On the headland called "Nesi" at Palaia Epidaurus, the theatre of the ancient city is quite well-preserved, in the shape it acquired during the latter years of its function. Mycenaean civilization. In the afternoon we will depart for OLYMPIA, where we will have dinner and spend the night. Olympia, the most celebrated sanctuary of ancient Greece. Dedicated to Zeus, the father of the gods, it sprawls over the southwest foot of Mount Kronios, at the confluence of the Alpheios and the Kladeos rivers, in a lush, green landscape. Although secluded near the west coast of the Peloponnese, Olympia became the most important religious and athletic centre in Greece. Its fame rests upon the Olympic Games, the greatest national festival and a highly prestigious one world-wide, which was held every four years to honor Zeus. Visit the Archaeological Site & the Museum and then drive via PATRAS to RION, across the channel to ANTIRRION on the “State of the Art” new suspended bridge considered to be the longest and most modern in Europe. Arrive in NAFPAKTOS (drive through) then continue to DELPHI. We will have dinner in Delphi and spend the night there. Situated at the foot of Mount Parnassos, within the angle formed by the twin rocks of the Phaedriades, lies the Pan-Hellenic sanctuary of Delphi, which had the most famous oracle of ancient Greece. Delphi was regarded as the centre of the world. Set within a most spectacular landscape, Delphi was for many centuries the cultural and religious centre and symbol of unity for the Hellenic world and seat of the Pythian Games. You will visit the archaeological site and the museum, where one can see among other archeological treasures the unique bronze statue of the Charioteer, dedicated to Apollo by Polyzalos, the tyrant of Gela, in 478 B.C. when he won the chariot-race at the Pythian Games. This incomparable statue is a representative example of the ''severe'' Attic style, certainly the work of a major artist. Afterwards, depart for KALAMBAKA, for a short visit of the village upon arrival. Meaning ‘suspended in air’, the name Meteora soon came to encompass the entire rock community of 24 monasteries, the biggest and most important group of monasteries in Greece after those in Mount Athos. There were no steps and the main access to the monasteries was by means of a net that was hitched over a hook and hoisted up by rope and a hand cranked windlass to winch towers overhanging the chasm. Each community developed its own resources and by the end of the 14th century, the Grand Meteoron emerged as the as the dominant community. The rock monasteries have been characterized by UNESCO as a unique phenomenon of cultural heritage. After seeing Meteora, start the drive back to ATHENS passing through THERMOPYLAE. The bustling port of Piraeus, made famous by classic films like "Never On Sunday and Stella", is a brief metro or taxi ride from Athens. This vibrant, cosmopolitan, historically rich city is dense with ancient monuments, chic cafés and unique shops. Today your cruise through the Aegean Sea begins and the first place to go is the island of Mykonos. Mykonos is a delightful island renowned for its lovely countryside and its beaches, its iconic windmills and sea breezes. The highlights to visit will be Mykonos town, an exquisite whitewashed maze, the Alefkhandra neighbourhood, Little Venice, Ano Mera, a traditional cycladic village. Today our cruise will get you to three incredible places in the Aegean: the Kusadasi area has been a center of art and culture since some of the earliest recorded history, and has been settled by many civilizations since being founded in 3000 BC. Kusadasi is currently one of the finest is resort towns on the Aegean coast. At Ancient Ephesus you find Immortal relics of the Hellenistic, Roman and Early Christian era. At the archaeological site you will be go on a guided tour. The highlights are the Agora, the Odeon, the Library of Celsus, the Thermal Baths of Scholastica and many more. The third highlight today is Patmos. Many believe John the Apostle wrote the Book of Revelations in a mountainside grotto where he heard the voice of God. First you head up to Megalochori village, one of the most authentic and unspoiled villages of the island with its distinctive architecture and character. You will continue on to the east, seeing settlements like Kamari and Monolithos in the background while you pass through Fira and the small traditional villages of Firostefani and Imerovigli with delicate architecture and beauties, to eventually arrive at the settlement of Oia. This morning our cruise comes to an end. 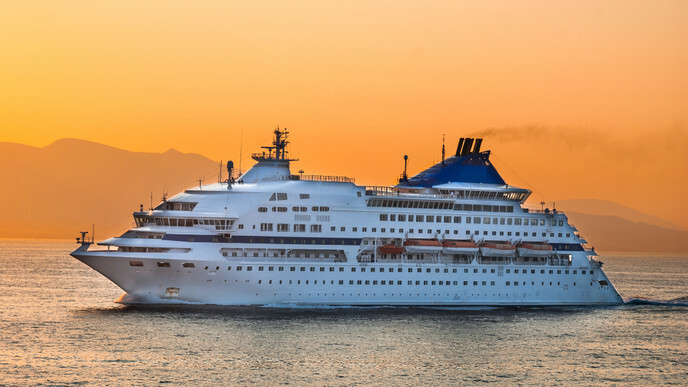 We will arrive in Piraeus port around 7:00 am and get you to your hotel, where you can relax. Enjoy the rest of the day at leisure for your own interests in this amazing capital of Greece. Private Transfer to Athens International Airport: The driver will be waiting for you in the lobby of the hotel to transfer you to Athens International Airport, where it is time to say goodbye. We are certain that you had a great time and will be back for your next journey to Greece.